I provide a mobile service within the Yorkshire region, making it easier to get your caravan service or motor home service done at your own home or whilst in storage - at your convenience. I can also carry out any repairs that you may need. Not Just Caravan Servicing or Motorhome Servicing Either! I do all trailer types! With 15 years experience at 2 main dealers; fully qualified with City & Guilds in caravan servicing and maintenance; LPG mobile systems, and trained by manufacturers to the industry: you can expect a professional job. In order to keep your equipment working in top condition it will require an Annual Service. Please call me to discuss your requirements; or use the contact form. CB Caravan Servicing is a fast and friendly service established by me, R. Craig Burley. Fitted from £895 - done at your own home! Move your caravan at the touch of a button! If you decide to change your caravan, the motor mover can be easily be transfered over to your new one. GO2 - Small, but mighty! Fitted from £895 - done at your own home! 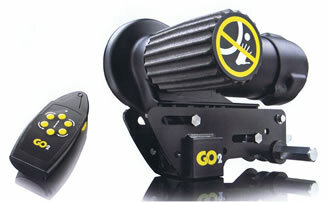 Remote control manoeuvring - simply attach, engage and off you go; straightforward and fast. If you’re having problems with your caravan or trailer, and are just looking for some personal advice, then contact me, the caravan doctor, and I’ll get back to you with an answer. Great service from Craig again. Sorted out an electrical issue with the blown heating and did our annual service. He also looked after a couple of other bits and pieces without any fuss or extortionate costs. Would highly recommend!